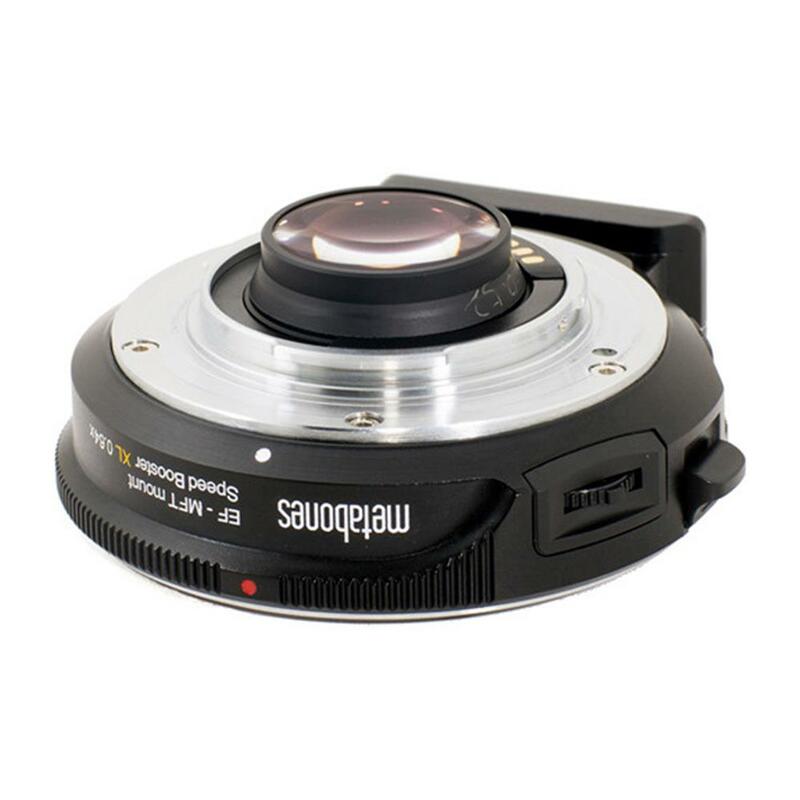 The working distance has increased by 1mm to permit use on the Panasonic GH4 and a number of other Micro Four Thirds cameras without touching the flexible outer cover of the camera's shutter mechanism. 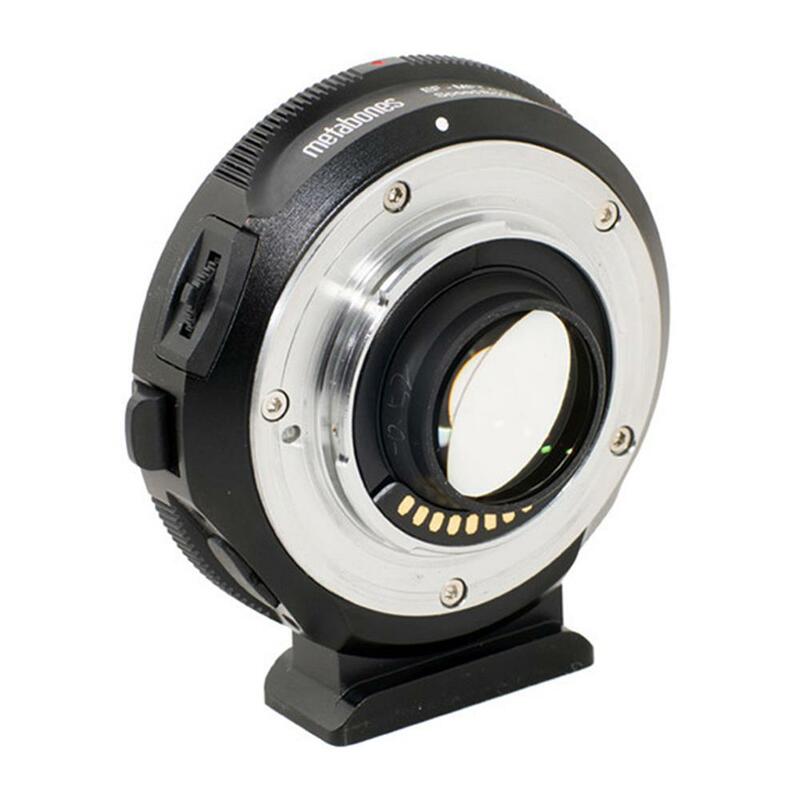 A new Micro-4/3 mount Speed Booster adapter designed exclusively for the Panasonic GH4 and other selected Micro Four Thirds cameras, with a magnification of 0.64x. The Speed Booster XL 0.64x uses an advanced 6-element optical design to achieve extraordinary optical performance at apertures up to an incredible f/0.80, a new record for Micro Four Thirds format. The new Speed Booster XL 0.64x reduces the full-frame crop factor of the Panasonic GH4 from 2.0x to 1.28x, thus effectively transforming these cameras into APS-H format. When the GH4 is used in Cinema 4k video mode the horizontal full frame crop factor is reduced from 2.34x to 1.50x, thus effectively transforming the GH4 into a super-35 format 4k cine camera. 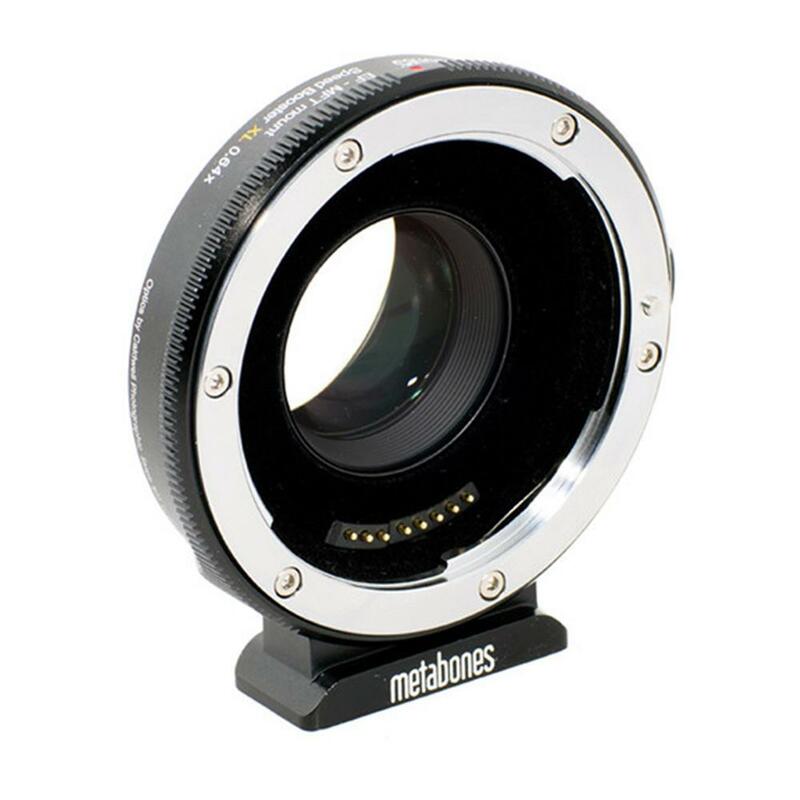 In addition, the speed of any attached lens is increased by 11/3 stops, with a maximum output aperture of f/0.80 when an f/1.2 lens is used. For example, a 50mm f/1.2 becomes a 32mm f/0.80, which is the fastest aperture available for full size Micro Four Thirds format. 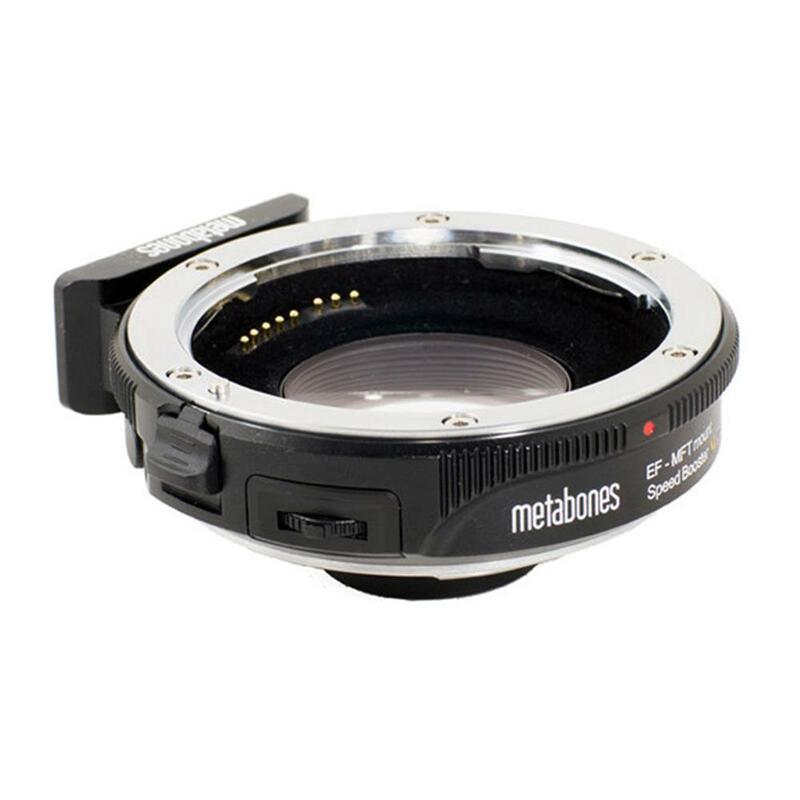 Supports 4k video mode with DX lenses. Flocking material coating to reduce internal reflection. 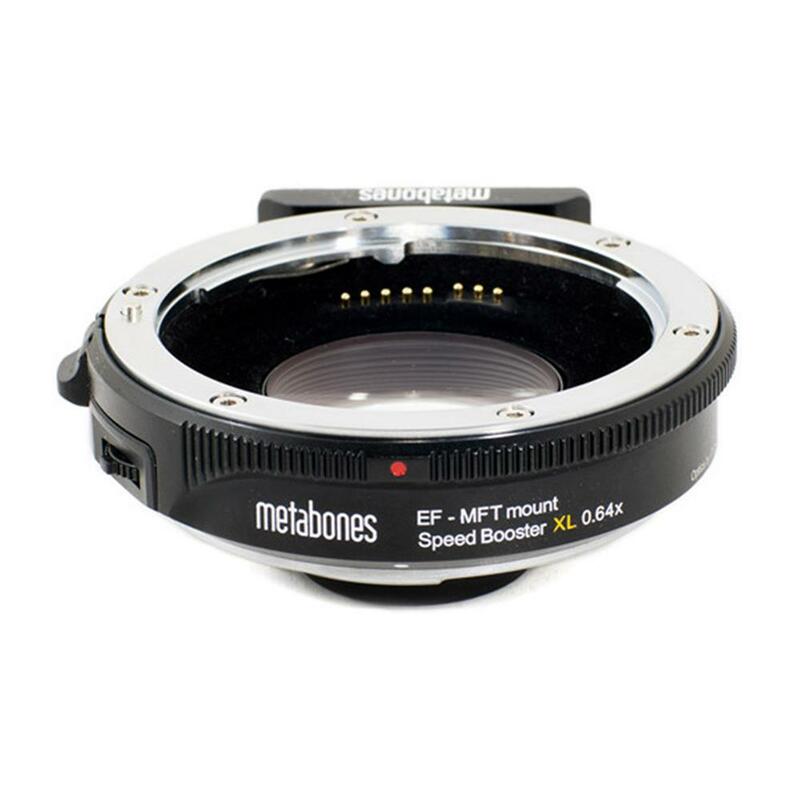 EF-mount lenses are not silent but may make audible click noises during autofocus operation and iris changes which may be picked up by the built-in microphone of the camera. An external microphone is recommended for video. Iris changes are unsmooth but in 1/8 stop steps which may be noticeable in video recordings. Programmed exposure mode and shutter priority exposure mode should not be used for video.